This years Street of Dreams features builders who are members of The Building a Better America Council (BBAC). Area Floors is excited to support the Building a Better America Council with products made in America as we kick off the month of July with our annual Made in America Sale. Area Floors is also offering to pay the BBAC membership fees for builders during the Made in America promotion in July with a minimum purchase at Area Floors. This years Street of Dreams will be focused on American built homes with uniquely green and Eco friendly home solutions. A featured home built by Crystalridge Development highlights 68 solar panels that will supply the home with a electricity providing a savings of more than $3000 a year, freeing the home owner from ever paying an electric bill. BC Custom Construction, building dream homes with tribute to American manufacturers and suppliers. West Lake Development, committed to American craftsmanship and builder of the nation’s first Building a Better American Council (BBAC) certified home. Red Hills Construction, Inc., offering quality homes with unique Old World design with a modern twist. 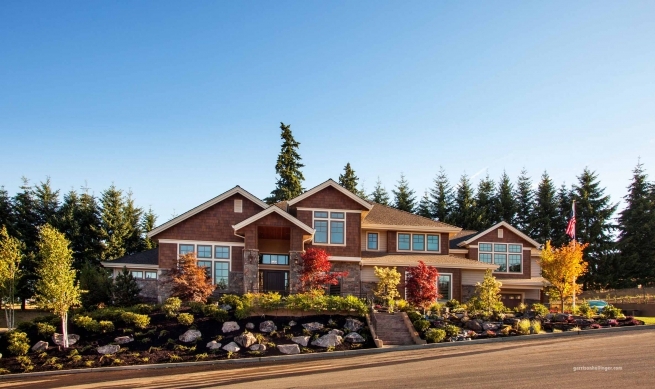 Crystalridge Development, featuring two homes in this years Street of Dreams. Area Floors is excited to see what the builders have come up with this year! Last years homes blew us away with their creative use of design and materials and the huge commitment to local and American made products.